When you head out to the beach, an oversized beach towel can feel like a best friend. Imagine how you’d feel if you could also bring an oversized beach chair with you for a day in the sun. Thanks to innovations within the beach chair industry, extra-large beach chairs are more comfortable and affordable today than ever before. 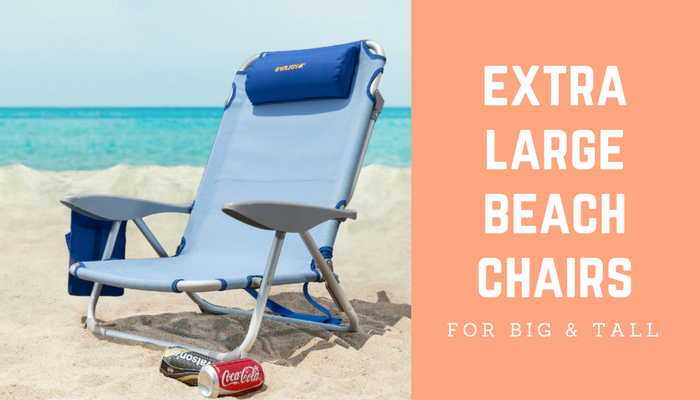 Folks who are big and tall already know that there are many benefits that come with owning a larger beach chair. They’re more comfortable than smaller chairs when you’re bigger. They provide numerous features that can create a relaxing experience. They’re just as portable as other types of beach chairs. If you’ve avoided the purchase of a beach chair in the past because you were concerned that the product wouldn’t meet your unique needs, then it is time to take another look. Beach chairs for the big and tall open up a world of sunshine-filled opportunities for one and all. What Are Extra Large Beach Chairs and Why Are They Needed? Beach chairs in this category offer two distinct advantages: they are wider and sturdier than the standard beach chairs. Most beach chairs have a weight restriction on them. If you weigh more than 250 pounds, then a standard beach chair cannot safely support your weight. For entry-level standard chairs, the weight restriction can be as low as 180 pounds. There’s this stigma when marketers describe weight restrictions that if you weigh more than 250 pounds, then you’re overweight or obese. That’s simply not true. Many folks who are tall are also going to be large enough to exceed those basic restrictions. And even if you are overweight, you still deserve to enjoy some surf and sunshine at your local beach or during your vacation. You deserve to have a beach chair that is built to meet your needs without being judgmental. That’s why extra-large beach chairs are needed. They are built to support people who are 6’4” tall or over, weigh 250-300 pounds or over, or both. Some flimsy beach chair isn’t going to let you bring the guns out when the sun’s out. Who Benefits from Owning an XL Beach Chair? Now the goal of the XL beach chair is to support those who are unsupported by the standard beach chair design. 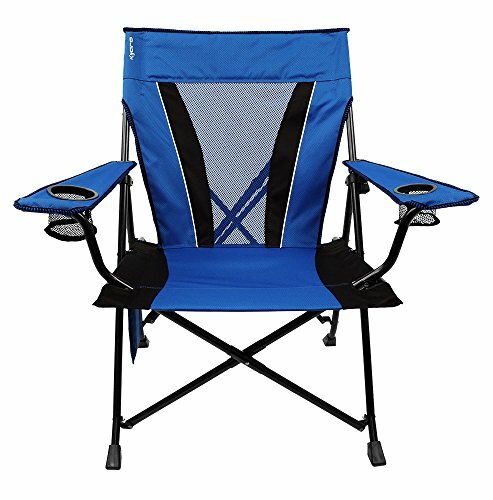 In this category, you’ll find numerous chair options that can support at least 300 pounds of weight while maintaining the classic, low-profile beach chair design. You will also find options for those that need even more weight support. 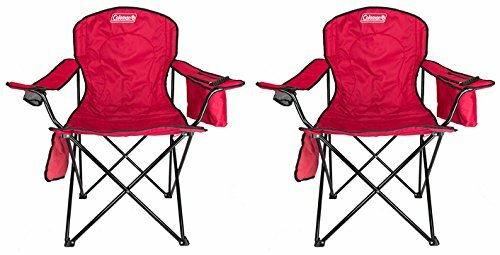 If you upgrade to a chair that looks more like a camping chair than a beach chair, you can find models that will support up to 800 pounds of weight. Many of the chairs in this category feature a width of 23 inches or more from arm to arm. Some may offer cup holders. Others may offer more of an armrest. You can choose the options that are right for you. With that said, everyone benefits from these larger chairs. They provide more elbow room, give kids some extra snuggle room with their parents, or you can share some space with your favorite pet. They are versatile, comfortable, and ready to embrace the sand. What Are the Key Features of Oversized Beach Chairs? Breathable mesh seating and backing. Seat widths of 20 inches or greater. Are There Any Dangers to Owning an Extra-Large Beach Chair? The only dangers associated with the ownership of an XL beach chair involve the setup or storage of the chair. There is a chance that your fingers could get pinched into a hinge or folding mechanism during use at these times. If the weight tolerance is exceeded on the beach chair, then damage may occur to it and that may cause an injury as well. It can be surprisingly easy to surpass the weight limit of a chair without realizing it. If you weigh 250 pounds and your 75-pound son sits on your lap for a moment, you’ve just exceeded a 300-pound weight limit. The metal components of a beach chair may also get hot to the touch during prolonged sun exposure. Take care when choosing a chair design that incorporates such elements. 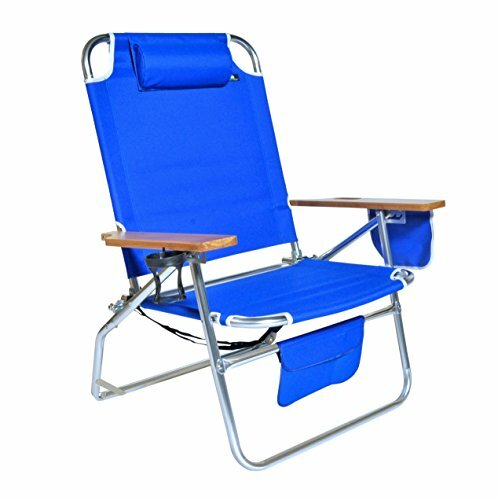 Otherwise, the overall design of an extra-large beach chair is to accommodate those who may find that a standard beach chair doesn’t provide enough support. Whether you’re big, you’re tall, or both, choose this design option to maximize the fun you can have at the beach this year.